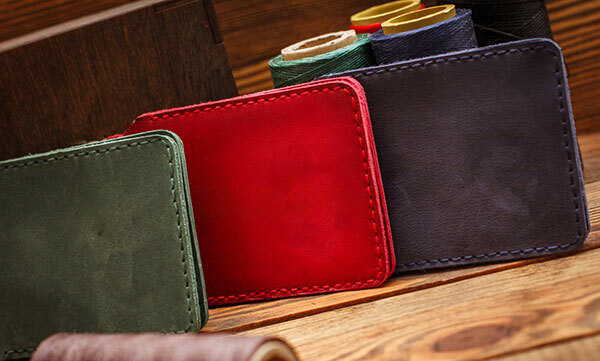 Leather wallets in particular saying and leather items in generally are all favorited by both men and women because of their striking durability and supreme beauty that absolutely can do a speak for user about their fashion style and even personal characteristics. 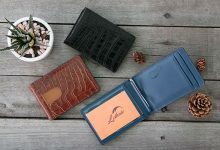 However, when it comes to selecting a leather wallet, there surely are some differences to bear on mind. If you are new to this field, then don’t miss out this article. 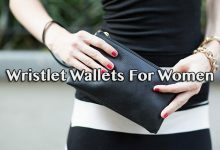 Here, I will guide you on how to pick the best leather wallets for both men and women. In terms of leather, there are two major types: real leather and faux leather, each of which will be divided into various kinds. The real leather will consist of the full grain, the top grain, the genuine and the bonded with the quality orderly leveling down. From that point, I recommend you to avoid bonded leather as they come up with very poor quality. On the other hand, faux leather includes PU leather and synthetic leather. PU is considered as a manmade material giving the best real-leather-like feeling because it is made sophisticatedly and high quality. Real leather will give better experience, durability, beauty and breathability whereas the faux gives better waterproof, requires less maintenance and goes in cheap price. 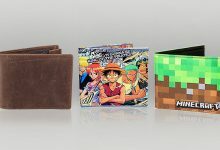 The second element is the style of wallet. Both men and women wallets come up with various styles like bifold, trifold, zip-around, money clip and these days, they are tactical and minimalist wallets. Each style will have specific design and characteristics to meet different requirements and demand. 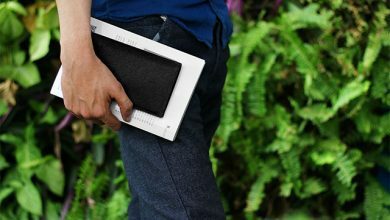 For instance, the best trifold wallets will offer more storage though it is a bit bulky. Bifold is the most common choice based on its moderate storage and silhouette. Some styles only fit with a group of people with particular features or serve for specific purposes. 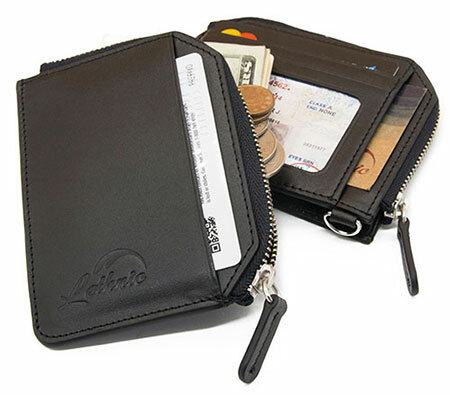 For examples, cardholder wallets are suitable for those who have the habit of using charge cards for payment. Tactical wallets are the best for active persons who love outdoor activities like hiking, camping, travelling, etc. Might some of us love buying a wallet from some well-known brands to leverage your characteristics and class whereas others don’t find it is a matter. 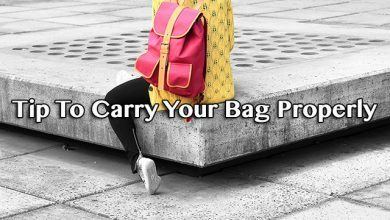 They just need something to keep their valuables and essentials stay neatly and safely. Apart from that, you should seek those brands that are reliable enough to make sure what they advertise about their goods are the truth. Importantly, those come up with good warranty should be priority. 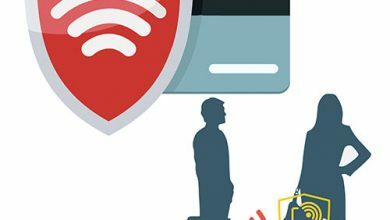 Looking for phrases like “risk-free trial”, “warranty”, “guarantee”, “refund or replacement”, etc. If that brand has their own store, it’s much easier as you can head straight there and directly experience the product. On the contrary, if they are only online, either they must have official website and clear information or their products are sold on well-known third-party ecommerce sites like Amazon, eBay, etc. This feature is due to your personal taste. Don’t think that leather is just arriving in some basic options like brown and black. As both real and faux leather can be dyed so that there is actually a sea of choices in color, for example, yellow, navy blue, mossy green, red and grey. Besides, don’t forget to consider that color is suitable for your career requirements or not, either. When consider buying a wallet, you also should take notice of its ability of storage, the number of compartments and their arrangement. Nowadays, people mostly like those wallets coming up with slim silhouette and moderate to high capacity. To afford these two biggest requirements, all compartments should be measured carefully and arranged wisely. 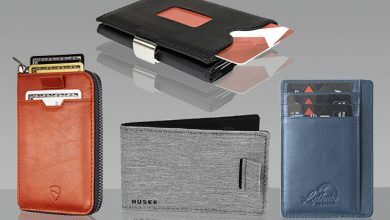 If you tend to bring many kinds of stuff like cash, cards, identity documents and want them to be organized, look for a wallet designed with particular slots. 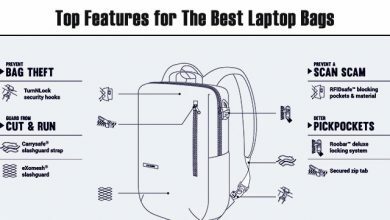 Also, don’t forget to check for its design is able to fit your stuffs or not. If you like your bills to be kept straight, go for a wallet with full-length compartment. 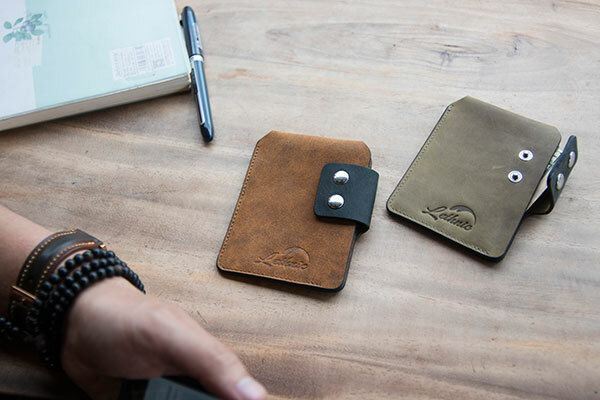 If you like a wallet with high customization, searching for functional pockets in which you can store either bills or cards as you like. With particular style of wallet, it will ask for some considerations. For instance, with money clip wallets, you should bear on mind the quality and ease of use of the money clip. Whether it enables to hold your bills safely and neatly or not? Whether it is made from high-quality material or not? 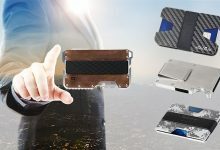 Usually, money clip has two types: magnet strap and metal clip. With the metal, I highly recommend to choose the stainless steel for best durability, beauty and no rust. With the magnet strap, test for how much money it enables to hold firmly. Another common style is zip-around wallet, consider the quality of the zipper to make sure it’s not poor and easy to break down quickly. How to know which is the best for you? To choose the best types and kinds of leather, it is influenced by many elements like your personal taste, purpose and budget. For example, if you intend to buy a leather wallet for casual use then I highly advise to pick a genuine leather or PU leather wallet. 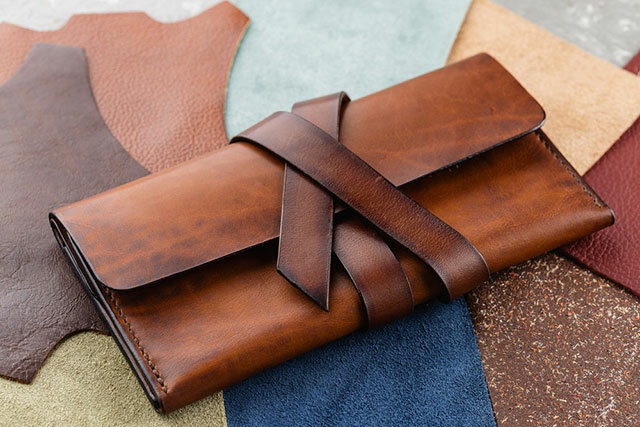 Meanwhile, for more formal and special occasions such as company parties, events, proms, meeting your partners, a full-grain or top-grain leather wallet is better. As in such situations, the wallet also plays the role of an accessory showing up your personality and class. Lastly, the synthetic leather is ideal for those who have tight budget. Hope that this article is helpful for you!